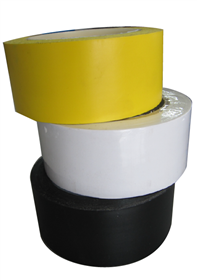 Floor marking tape is used for marking directions, warnings, plans, zone demarkation etc. on floors. For use on high traffic areas and available in 48mm x 33 m rolls in black, white or yellow.